Here's new Sew Kind of Wonderful pattern that uses your mini ruler. 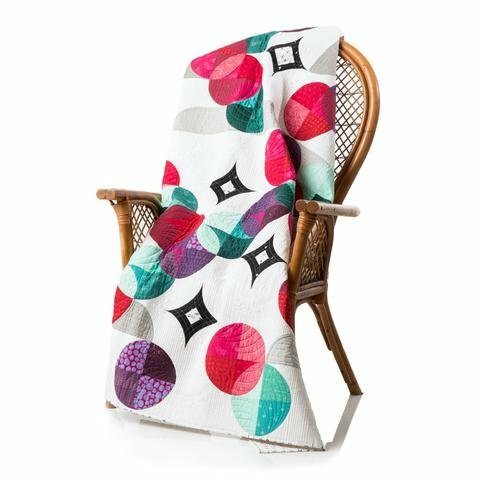 It's a fun modern quilt that gives you a chance to play with color choices for different results. The first class will be for cutting and organizing your fabrics. The second class will be for sewing. If you have any questions about color choices, come by the store and talk to Mickie. NO sewing supplies, just the pattern, ruler, small rotary mat. Post-its or something to label your cut pieces and zip lock bags to organize them. Sewing machine and everything necessary to sew a ¼ inch seam. Any questions? Call and ask for Mickie.